This winter we will partner with the NE Revolution Academy to run our in-house Futsal Program. This is open to all boys & girls in the U4-U14 age groups (birth years 2015-2005). Clinic and games will be held in the KMS gym on Saturday's likely between 9 am - 3 pm. Please feel free to forward this email. The deadline to register is December 7th, 2018. The program will run for 8 weeks from Saturday, January 12th, through Saturday, March 9th. Payment will only be accepted by credit, debit card and e-checks. Payment must be made during registration. 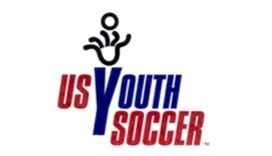 If you have any questions, please contact info@bristolyouthsoccer.com. Any family who will be registering more than one child MUST create a family account and register their children via the Family account. Each individual player will need his/her own account at http://gotsoccer.com/. For families with multiple children, please make sure that you create a profile for every child, then you can create a family account where you can log-in all of your family members at once. If you already have a profile, please do not create a new profile; please use the player password lookup option.